From the sultry streets of Havana to the picturesque shores of Playa Paraiso, Cuba offers countless attractions that can please any tourist. However, its unique features are making this vibrant country a trending destination for wellness tourism. 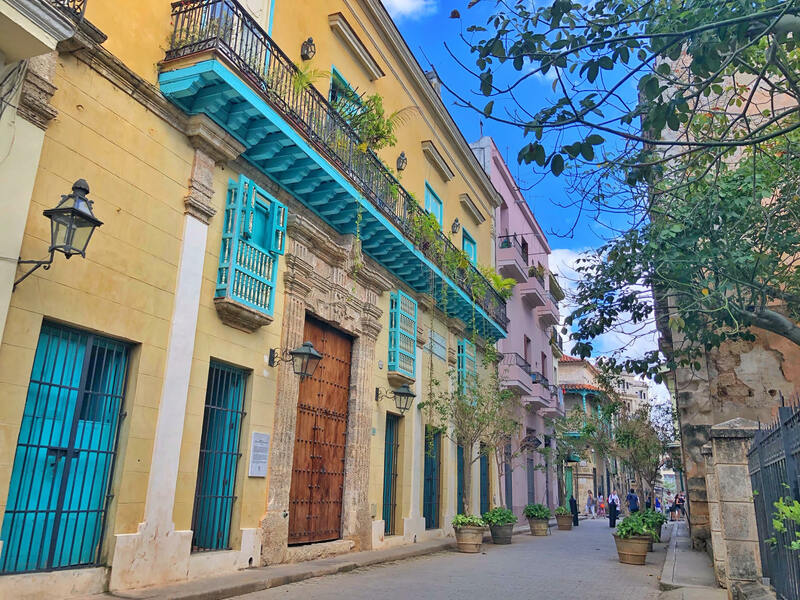 Cuba’s food, culture, climate, and landscape make it the ideal spot for health and fitness retreats, and, whether you’re looking to gain clarity around your life purpose or simply learn how to adopt a healthier lifestyle, a trip to Cuba may help jumpstart positive changes. Here are some of our favorite elements that make Cuba a new trending wellness Mecca. Health food may not be the first thing that you envision when you think of Cuba. In fact, I imagine that the first food that comes to mind is the Cuban sandwich. Stacked with layers of ham, roasted pork, Swiss cheese, mustard, and pickles, this extravagant variation of a classic ham and cheese sandwich is certainly not nutritious. However, the Cuban sandwich is not a true reflection of Cuban cuisine. Most food produced in Cuba is organic, and many traditional Cuban meals are nutrient-dense and protein-packed. Inspired by Spanish, African, and Caribbean cuisines, Cuban dishes often feature slow- cooked meats and are saturated with fresh herbs and spices, and Cuban chefs utilize mostly organic ingredients grown on local farms to prepare their meals. There is also an abundance of tropical fruits, which are often blended into nutritious smoothies in addition to many healing herbal remedies. Cuba is the perfect destination for a spiritual escape. Many tourists are eager to learn about the practice of Santeria, also known as “the worship of Saints”. This religion, which is a central facet of Cuban culture, blends aspects of Roman Catholicism with the fundamental beliefs of Yoruba, an ancient African religion. Travelers can visit the Templo de Yemaya in Trinidad, Cuba to learn about the origins and traditions of Santeria and even take part in cleansing ceremonies that are key to the religion. Rumba, yoga, pilates, and meditation are also all prominent in Cuba, making the country an excellent place for a spiritual escape. If you’d like to learn a new skill, Cuba is also the best place to do it. Interested in learning photography? Havana’s colorful streets, lined with Baroque buildings and overhanging balconies, are an ideal subject for photographs. Interested in learning to scuba dive? Cuba’s Jardines de la Reina is one of the most stunning dive sites in the world. Interested in yoga? Take a class with yogi Eduardo de Jesus Pimentel Vázquez, nicknamed the “Godfather of Cuban yoga”. Vázquez has instructed thousands of yoga classes in Havana and is the perfect teacher to help dawn your yoga journey. A landscape enveloped by the low mountain ranges of Cordillera de Guaniguanico, Viñales is a small town in Northern Cuba that citizens have used for spiritual retreats for hundreds of years. Shrouded by lush, green forests, the town has since become a popular spot for meditation retreats and yoga retreats. Visitors can stay in casas particulares, private residences that are rented out for lodging. You can even rent out the private home of the ex-Valentino event producer or the home of a famous Cuban writer and filmmaker. Regardless of where you choose to stay in Viñales, you’re guaranteed to have a gorgeous view of this mountainous paradise. It’s important to remember that to have a perfect adventure in Cuba you are always advised to use a guide. Some countries require visas and have other stipulations that a good guide can help with. We recommend the following agency that is widely considered one of the best and has years of experience. Even royalty and celebrities trust them with their Cuban itineraries.